Just like wedding trends come and go, proposal trends are also always changing. This year proposals have become more premeditated, with couples deciding beforehand that they want to get engaged. This allows them to plan and co-ordinate, while still keeping some of the surprise. Have you wondered how couples get those perfectly timed surprise shots? It’s become a big trend to have a secret photographer who hides while the proposal takes place to capture the moment the question is popped! After the shock of the moment simmers down, the couple will typically have their full engagement shoot. This is perfect for showing all the romance and emotions right after the proposal. Nowadays, proposals will include friends and family, with big celebrations after the event. Having a big party at home or a restaurant after the proposal is a popular choice for many who wish to enjoy the good news with their loved ones. The pressure to have a perfect and unique proposal has never been higher, with couples trying to be as creative as possible. Some opt for a destination proposal in exotic and romantic places, while others use treasure hunts or flashmobs to surprise their partner. This also makes way for couples to step outside the norm and celebrate their love in any way they choose, as opposed to just a dinner date. Up until recently, couples have been happy with engagement photographs, but thanks to new age technology and the popularity of vlogging, engagement videos and vlogs are now a trend. 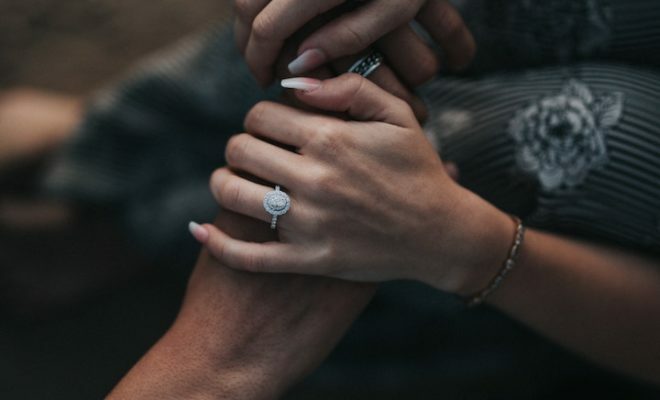 Popular YouTubers will post vlogs of their engagement, while other couples will seek professional help with making an engagement video to look back on and cherish.